HF SIGNALS started shipping the μBITX boards (or micro BITX) December 2017. This is a a fully wide-band 3 to 30 MHz transceiver with upper and lower sideband and CW, power up to 10 watts and solid digital control. The circuit boards come wired and tested and with all the hardware. An interesting component of this radio is the Radino. This board has a Arduino Nano controller and a Si5351 for all local oscillators. uBITX Net – great source of uBITX information. groups.io has a group for the varies BITX projects. I chose not to use the plastic case that it came with or to print a 3D but instead purchased an universal enclosure from Amateur Radio Kits (INKITS). It took 6 weeks deliver, which was not unexpected. These things take time and worth the wait, The case is excellent value. Metal and came with additional installation hardware including PCBs for the external connections. uBITX Net has a list of updates to make. 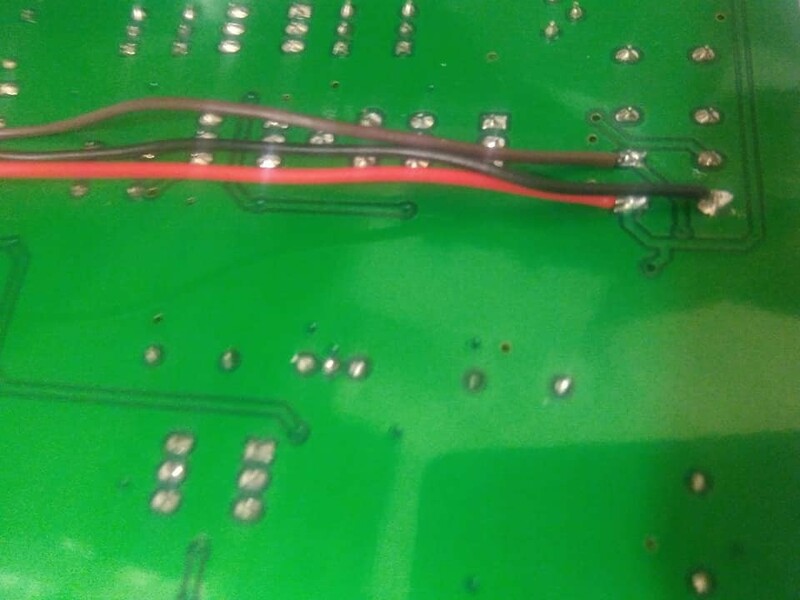 The case included a power board and fuse which addressed the reverse polarity issues. The encoder is not straight through. You need to add two resistors to support a CW paddle. Follow the directions on uBit.net. Get the latest from https://github.com/phdlee/ubitx. Install Arduino software, if not already installed. Install the USB drivers for the Arduino compatible board (CH340 serial interface) used by Radino for MacOS here 10.9+ or here 10.12. Download the firmware files from GitHub, compile and upload to the Radino. Bingo so now you have a HF full source code for the HF transceiver on your computer. That is cool in initself. The board is v3. I want to address the T/R click noise and add an CW Audio Filter. Also saw pcbs for filters based on Glenn VK3IL’s blog. Kess ND6T uBitX Add-On boards – http://www.nd6t.com/index.htm and ordering instructions in BitX20 group. I still have noise UBitxAudio.m4a when using the speaker. Headphones are Ok. It appears too be a Ground Loop problem. Deployed common ground via a star config which improved the audio however still have the noise when using the speaker. Current solution is to stick to headphones and use the device. Updated the pic to show grounding. The brown wire goes to the common on front panel board. Still noisy. There is a lot of information as to audio available uBitx.net and iGroups. This is a fun radio.It’s cheap, it works and requires very little skills to get operational. Think will source another board. The uBitX v4 boards have no Audio IC On the board. 3.5” Nextion display with KD8CEC firmware.